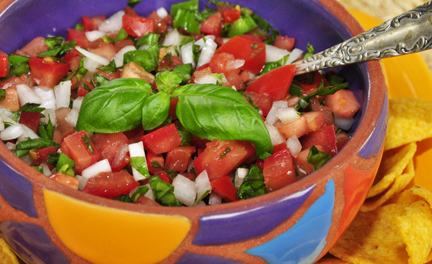 Salsa recipes are versatile and this is one that says Summer! Serve the “Basic Recipe” with chips or crackers. The goat cheese log shown resting on a nest of wild arugula is summer fare. Make the full “Basic Recipe” and use half for this smokey paprika version. Add 1/4th tsp. Nichols triple smoked paprika and 1 tsp. olive oil and serve with goat cheese. Adding a spoonful of chopped capers to the “Basic Recipe” portion gives a lovely Tuscan quality. Pile onto toasted bread slices for bruschetta. These salsas are good with fish. If your palate wants more heat, acid or garlic adjust accordingly. You are the cook and summer abundance invites improvisation. With a well sharpened knife trim and finely dice the tomatoes, onion, and garlic. 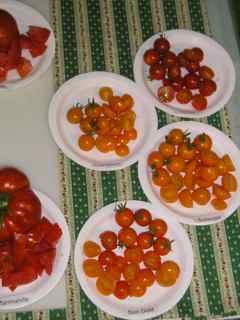 Deseeding peppers improves texture of the salsa and produces a milder flavor. The basil leaves need to have stems trimmed away before chopping. Adjust seasonings to your taste. 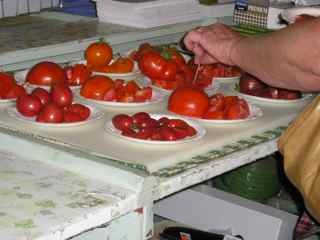 If you prefer to use slicing tomatoes, chop, let sit for a few minutes, and drain off excess juices. I’ve used wild arugula which holds up in summer heat better than our standard arugula. 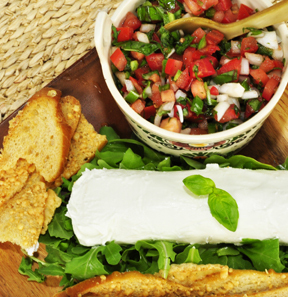 Both will be delicious, Spread your cracker or toast with goat cheese “Chevre”, add a few sprigs of arugula and top with salsa. Gardeners tip: beginning July 1 soils in the continental US are warm enough to direct sow basil seeds. Sow seeds about 1/2 inch apart in a sunny spot, keep damp as seeds germinate and plants develop. Thin to allow 3-4″ between developed plants. Start harvesting when 4″ tall. This is always my main crop for pesto. All this clipping doesn’t make for beautiful plants but the flavor and production is great. Arugula with Rigatoni with tomato sauce was a standby on the old Nichols Garden Nursery website. I’m starting to catalog these for easy reference on this blog. When you have arugula or “garden rocket” growing, try this delicious pasta recipe. The arugula flavor mellows when combined with the hot pasta and rich sauce. 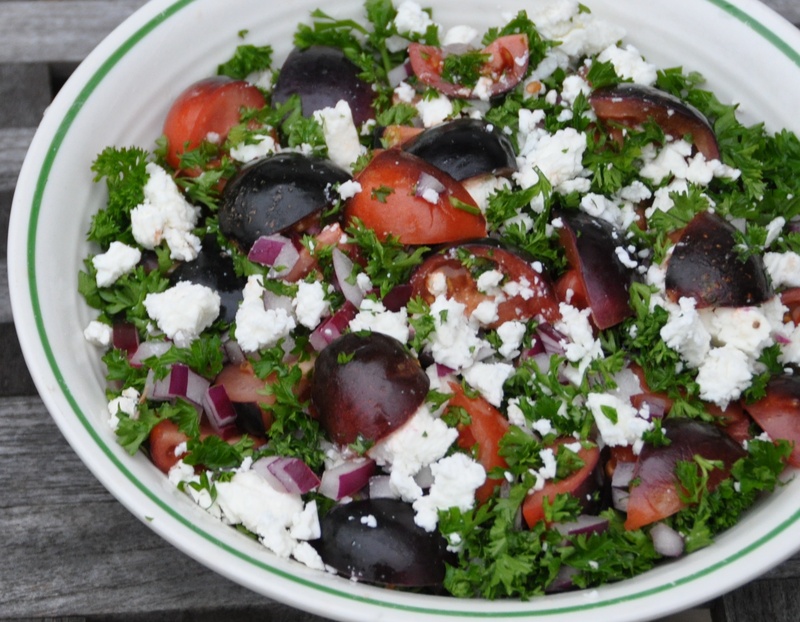 If arugula is starting to bolt and becoming strongly flavored try this dish. Tear washed and trimmed arugula into generous bite-sized pieces and toss into a large, shallow, heat resistant serving dish. Cook pasta in a large pot of boiling water until barely tender. Remove and drain. While the pasta is cooking prepare this easy tomato sauce: Heat olive oil and stir garlic around until softened and fragrant. Add tomatoes and seasonings and heat to a simmer. Remove bay leaf. Combine the hot, drained pasta with the tomato sauce and pour over the bed of arugula. Lightly toss all together and quickly serve with grated parmesan cheese. Serves 4-6. 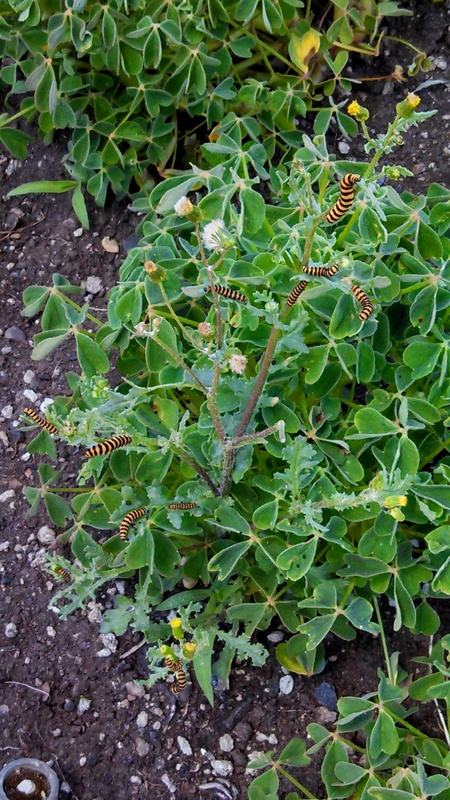 Growing arugula: a small packet of seed will provide many harvests of arugula. Start sowing every two to three weeks beginning in spring. When summer heats up make your plantings in semi-shade or just move your container from full sun. Arugula will keep growing until frost and the flowers are also good for garnishing and salads.